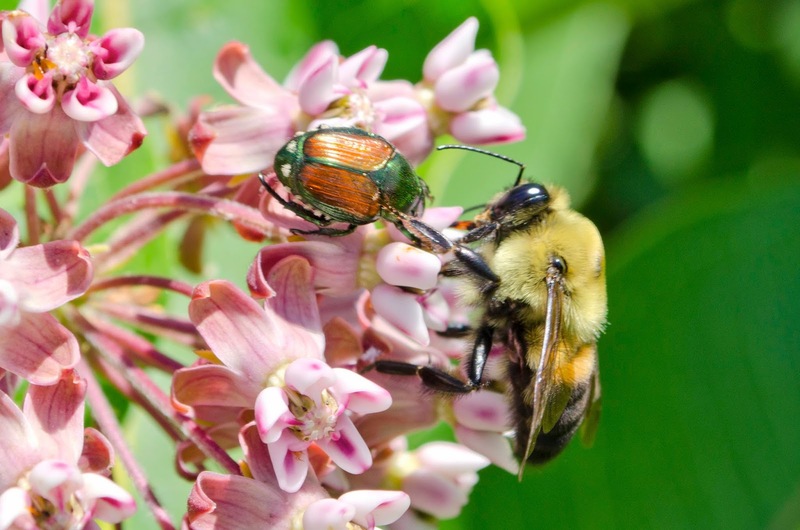 A Japanese beetle and a brown-belted bumblebee on milkweed flowers. The bee is touching the beetle with a foot; they both drew back a second later. Click to enlarge.